Start today! Use it in your company in 3 easy steps! Buy once - no further fees! You do not have to buy BAP every year (template can be updated). There are also no restrictions on the number of users in the company. Once purchased it is yours! No further obligations! No further fees! ...absolutely enthusiastic about BusyAntPro working time recording! 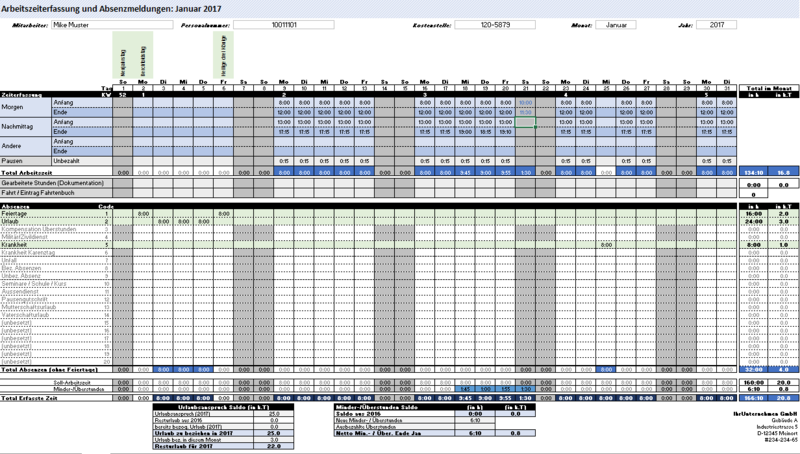 I purchased BusyAntPro timesheet from you last year. My wife uses this template to check her work hours and is very happy. The input and evaluation of the data is very simple. Time recording and absences on one sheet. Don’t click back and forth or open other files! Everything immediately visible at a glance. Lines with entries are automatically highlighted so that the eye can read more easily. And much more! No more loss of time due to calculation errors! You always know how many vacation days are still available and what overtime has been worked. Working times are calculated to the exact entry or leaving day for an employee. No manual accounting or adjustment necessary. 1 register per month and an annual overview which can be viewed in hours as well as days. 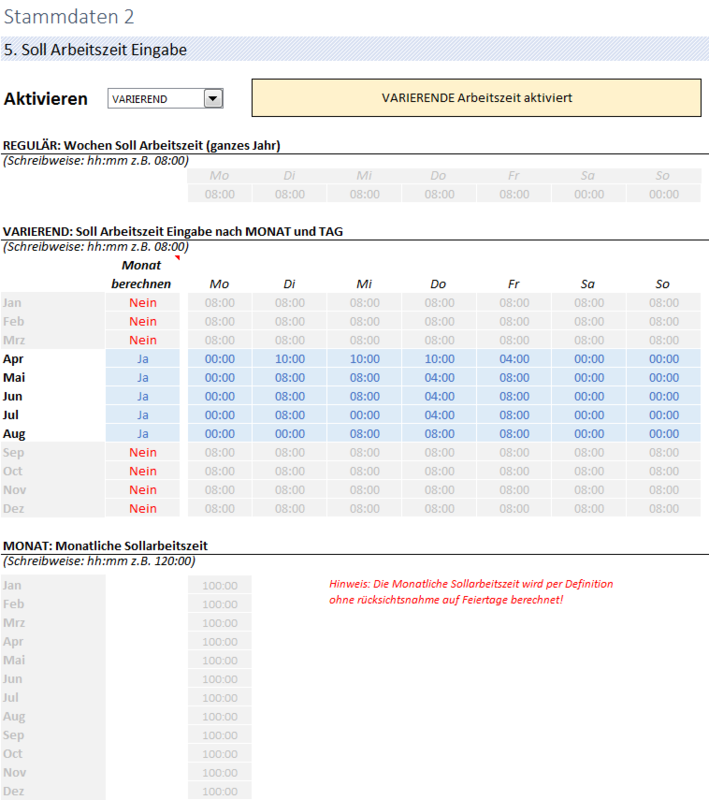 Planned working time can be recorded for weekly working times, monthly working times, part-time work, seasonal working times, or 3rd shifts without any problems! 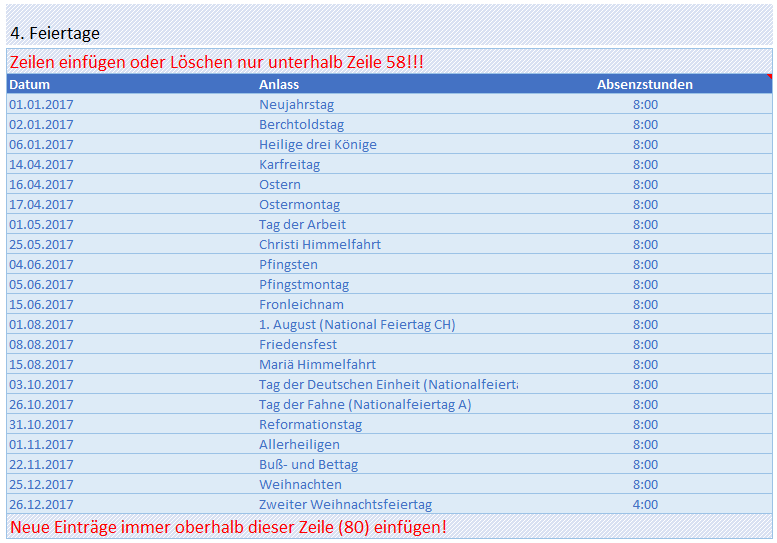 Define your own holidays and 20 absence categories! Both personnel numbers and cost centers can be entered so that efficient evaluation is also possible. Enter business trips and trips together with working time. A practical overview that will also be appreciated by the tax authorities! ...and the time keeping can start! I am thrilled with your Excel template! Holidays and celebrations can be changed by inserting and deleting lines. Half days or shortened working days (e.g. those on which work stops one hour earlier) can also be recorded! Buy once - use as often as you like! You do not have to buy BAP every year. Once purchased it is yours! No further obligations! Because BAP is based on Excel, your IT does not need to set up any interfaces or connect to APIs. The tool works right after you open it! No UserID and password to manage! Everyone knows Excel, so the learning curve for the users is also very small. Save valuable working time! Your data remains with you in house (and not on the server of a Webhosting society)! BusyAntPro works without an Internet connection! Recently we have acquired the Busy ant Pro timesheet. It's perfect, thank you very much. Hard to believe that this is an excel template! The functionality is incredible! After purchase you have 30 days to check out BusyAntPro for your needs. Either you are satisfied or you get your money back! No further conditions! Yes, you will automatically receive an email from us for the executed transaction. There is a link with which you can generate an invoice for your company. During online transactions, your data is processed via a secure SSL connection. We do not see any credit card information as it is processed directly by our partner payment portals PayPal or Stripe. Your payment information is thus only seen and handled by the aforementioned bank transaction companies. Do I get a VAT certificate? Since we do not charge VAT, we cannot issue VAT certificates. Do I have to buy the file again next year? No. You can update the file to the new year yourself in the master data register. Instructions on how to do this can be found directly in the file! BusyAntPro works with all Versions of from Excel 2007 on upward. Excel 2007- 2016, Excel 365, and both 32BIT and 64BIT Versions have been tested. BusyAntPro also works with Excel for Mac! When do I get the file? When purchasing with credit card or PayPal you have access to the file immediately after the payment process has been completed.